Although calcium in dairy products can bind to some antibiotics – including ciprofloxacin and quinolones – and interfere with absorption of the medication, you can consume milk and other dairy products when taking amoxicillin. In fact, the liquid form of amoxicillin for children can be mixed with milk or other liquids if doing so helps the child take the medicine. Amoxicillin, one of the most prescribed antibiotics, treats infections in the body caused by the common bacteria, staphylococcus and streptococcus. These two organisms can cause ear infections, skin infections, strep throat, pneumonia and sinusitis. Taking an antibiotic by mouth requires your stomach and intestines to absorb the medicine and get it into your bloodstream, which delivers the antibiotic to the part of your body where it's needed to fight an infection. 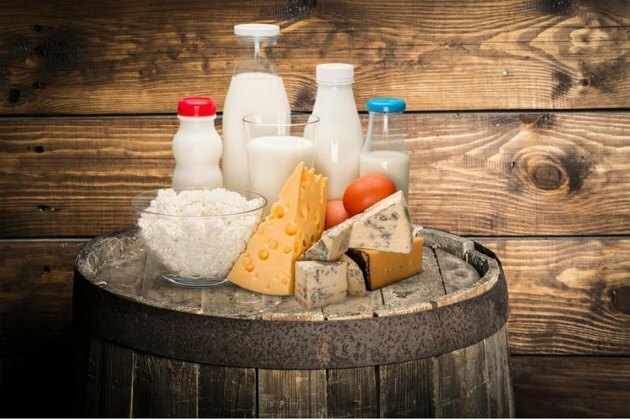 Dairy foods can interfere with the absorption process for some antibiotics – mainly tetracyclines – but not amoxicillin. While amoxicillin has no negative food interactions, there are certain drugs and vaccines that should not be taken while taking the antibiotic. Bacillus Calmette-Guerin, a medicine used to treat early-stage bladder cancer, and probenecid, used to treat gout and some sexually transmitted diseases, for instance, should not be taken at the same time as amoxicillin. Other medicines that should be avoided while taking amoxicillin include tetracycline antibiotics, sodium picosulfate (used for intestinal clean-outs before colonoscopy) and the typhoid vaccine. Antibiotics can also potentially decrease the effectiveness of birth control pills. 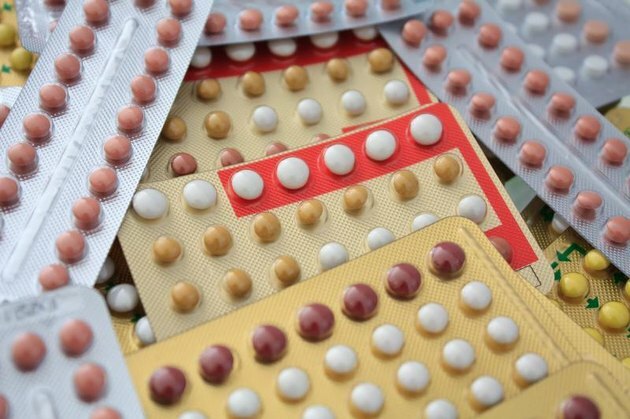 Female patients taking an antibiotic while on birth control pills should consider using an additional form of contraception during treatment and for one week afterward, according to an article published in the journal “Reproductive Health” in May 2015. Amoxicillin and all antibiotics are intended to kill the disease-causing bacteria in our bodies, but they can also kill the healthy bacteria and create other health problems, particularly diarrhea. Diarrhea is a common side effect of amoxicillin combination product Augmentin, which includes clavulanate potassium, an addition needed to treat some infections. Consider taking an oral probiotic supplement or try eating two 8-oz. yogurts a day to try to keep your intestinal bacteria healthy and avoid diarrhea while taking an antibiotic. Anyone with an allergy to amoxicillin or any penicillins or a severe reaction to any antibiotics in the cephalosporin group should not take amoxicillin. If you develop a rash while taking amoxicillin, be sure to let your health care provider know. Some allergic reactions are life-threatening; if you have trouble breathing or swelling in your mouth or tongue after taking amoxicillin, call 911 or go to the emergency room. Reproductive Health, 2015: Oral Contraceptives and Antibiotics. A Cross-Sectional Study About Patients’ Knowledge in General Practice. U.S. Food and Drug Administration: Label and Approval History: Amoxicillin. Can You Eat Yogurt While Taking Penicillin?